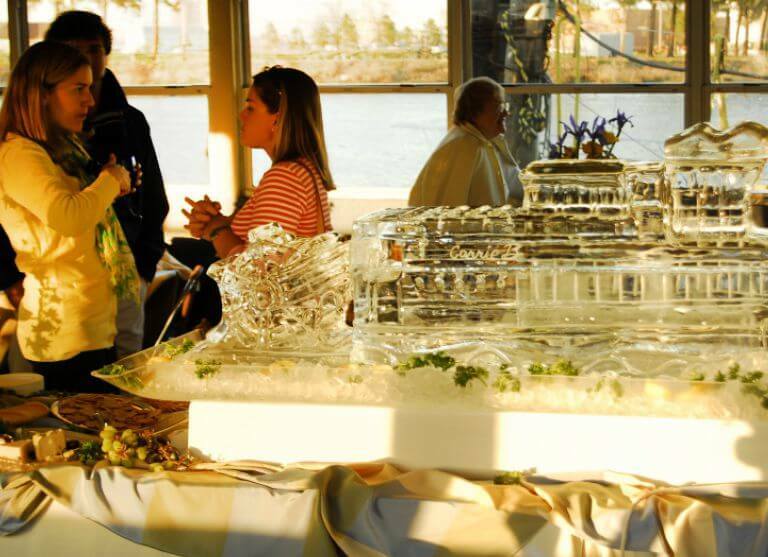 Celebrate your next event on the Carrie B Showboat. From a simple party to a sophisticated themed affair requiring catering, flowers, and music, our Party Planners can arrange everything for you or you can use your own vendors—it is entirely up to you. Whether choosing to remain dockside, or to include a harbor voyage as a part of your charter, your celebration on the water will be exciting and special. Pickup locations available in Norfolk, Portsmouth, Hampton & Chesapeake, VA – or just about any Southeastern Virginia dock! From lunch seminars and business dinners, to training workshops and company parties, business and pleasure mix comfortably aboard the Carrie B. From small to large and casual to formal, the Carrie B crew can accommodate a variety of functions and the unique and relaxed setting makes your corporate event anything but business as usual. 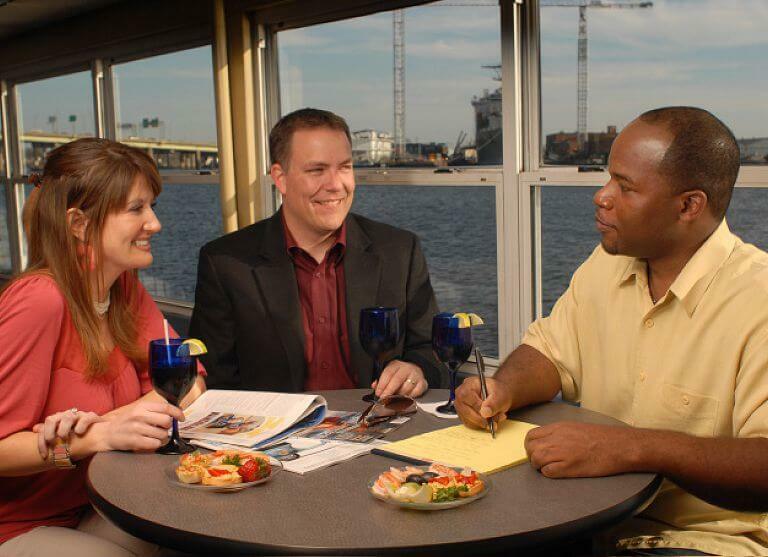 The beautiful Norfolk harbor will be your décor as you set sail on your life together aboard the Carrie B Showboat. The climate controlled lower deck is perfect for an indoor ceremony or seated dinner and our open-air, upper deck easily transforms to a dance floor with an additional bar and spectacular views! Great for rehearsal dinners and bachelor/bachelorette parties too! Seating for 30 up to 320 guests. Reconnecting with relatives or old classmates, or spending time with family and friends, is relaxing and entertaining aboard the Carrie B. U.S. Coast Guard certified to carry 320 passengers, our private charters are the perfect choice for groups of all ages. Traverse the area’s waterways or throw a dockside party – whichever you choose, any reunion aboard the Carrie B Showboat will become an annual event! 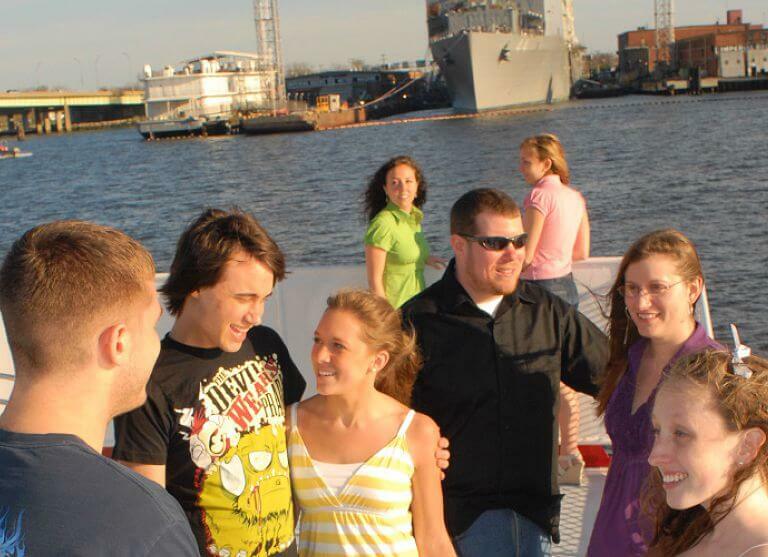 Class field trips, fully narrated educational tours, sorority and fraternity parties – no matter the age group or class type, the Carrie B Showboat can accommodate your group. Transform the upper deck into a dance floor and it becomes the ideal place for proms and homecoming dances. Or have a seated dinner for your alumni gathering or reunion on our climate controlled lower deck. Student packages are available. 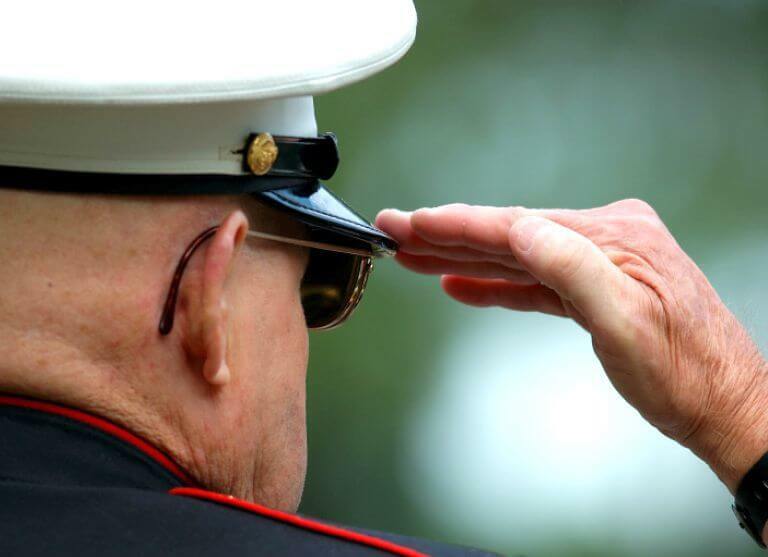 Whether waving “Hail and Farewell,” throwing a promotion ceremony or holding a Change of Command, the Carrie B is an ideal setting for all types of military events. Licensed to carry up to 320 passengers, the Carrie B can easily accommodate small to large groups and makes a unique back drop for wives club meetings, retirement parties and other military gatherings.